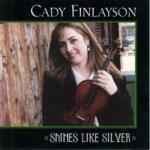 Sign up for Broadjam today to follow Cady Finlayson, and be notified when they upload new stuff or update their news! Irish Coffee blends Irish fiddle tunes with American Folk and World music influences. 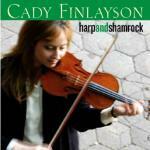 Spirited Irish fiddle with American folk and world music influences. Irish tunes with world music and electronic influences. Spirited Irish fiddle tunes & soulful melodies with American folk influences. 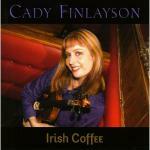 Irish Coffee blends Irish fiddle tunes with American Folk and World music influences. Original compositions on the CD include The St. Ignatius Jig, Brooklyn March, Open Roads Ahead, Jury Duty Waltz, and One More Day. Instrumental fiddle piece about the open roads ahead. Relaxed feeling. Instrumental March inspired by living in Brooklyn. Instrumental 6/8 time with a Celtic feel. Happy. Two tunes -lively Irish reels with world music percussion.